Mix, get updated, get caffeinated and learn something for your business. 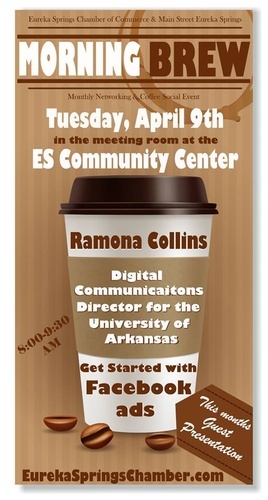 This month we welcome as our guest presenter Romana Collins, Director of Communications for the University of Arkansas. The Chamber & Main Street invite all business owners, managers and front line employees to get updated on information they can use today in their business.